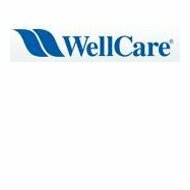 Wellcare Health Insurance of Arizona, Inc., better known simply as Wellcare Health Plans, Inc., is a Florida based company specializing in managed care programs for consumers covered by the government based Medicare and Medicaid programs. Wellcare Health Plans is a public company traded on the New York Stock Exchange under the symbol WCG. It is currently valued at just over $40 per share. As a publicly traded company, Wellcare has an extensive investor’s information web page. Wellcare serves the needs of almost two and one half million-member subscribers. They provide plans for families, children, the elderly and even disabled and blind members of our community. Main benefits of Wellcare Plans include, low or no co-payments, prescription coverage, free wellness care and preventive medical visits and a broad selection of participating practitioners. Open enrollment begins on October 15, 2011 and plans are available in all 50 United States. A current Wellcare promotion offers customers a free $10.00 Walgreens wellness card with a Wellcare appointment. All of these benefits and more are available in Wellcare Medicare Advantage Plans. Enrollment is fast and simple and may be accomplished on line, by phone or by regular mail. Forms and customer assistance is available for Spanish speakers. Clicking on each state will provide the visitor with details on programs available in his or her state. Wellcare Medicaid programs provide basic and supplementary services to qualified families and children. It is important to note here that health and wellness program benefits may vary from state to state so it is important to check available programs for your area. A pull down menu at the Wellcare home page lists all states for easy access. In Florida, community service groups are also listed. For questions or general information, call Wellcare toll free, 866-765-4385. Visitors to the Wellcare website may also compare plans in their area by filling in a brief survey form. The Wellcare response will give a visitor an estimate of anticipated out-of-pocket medical expenses for each program based on the visitor’s age, location, and general health. Coverage can be selected and riders added for prescription drugs or other services and a final cost can be calculated. Once a plan is selected, new enrollees may apply on line. After enrollment, monthly billing may also be handled through the Wellcare website. As a member or a provider, claims may be filed, eligibility determined and authorizations obtained on line and both subscribers and practitioners have access to a wealth of program information and services. Wellcare Plans, Inc is a Fortune 500 company employing about 3,500 health care professionals and administrative staff. An applicant from outside the Wellcare network may search for job openings on their website. At present, there are seven pages of job listings posted on the Well.care website. Most are in the Tampa, Florida area but many others are outside of the Wellcare home base and range from New York and the New England states to Hawaii. Applicants may apply on line for all postings.